Discovery Day Camp is a fun and exciting summertime camp for children ages 5–12. The camp begins June 3 and will be staffed through August 2 (or according to the Goshen Community Schools calendar). Camp opens at 7 am and closes at 5:30 pm, Monday through Friday. This is a full-time summer camp; just one week of vacation is allowed to every camper. Each of the nine weeks of camp has its own theme, during which campers participate in games, activities and off-campus field trips related to that week’s theme. All Discovery Day Campers enjoy the Shanklin Pool on a regular basis. The schedule also incorporates some of the Park Department’s summer activities into Discovery Day Camp, including Soccer Camp, Art Camp and the Kids’ & Teens’ Try- Athlon. All summer activities are designed for the introductory level and introduce campers to new activities or expand their existing interests, all the while experiencing new life skills. Let our experienced summer teachers and staff make this a worry-free summer for parents/guardians while your children experience new friendships, make great memories and have a terrific summer packed full of fun! 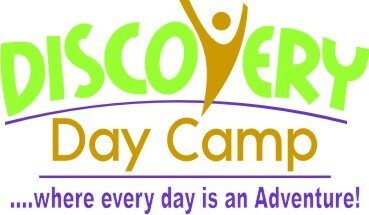 Discovery Day Camp enrollment is limited; please register early to ensure your child’s space. For more information or to receive a complete registration packet, please contact the Goshen Parks & Recreation Department Office at 534-2901. *Registration fee + first week’s tuition + additional kids’ triathlon fee must be paid upon registration.